There’s an old and now out-of-date saying that you can’t be too rich or too thin. However, the State Department of Technology, Management and Budget (DTMB) faced a significant challenge when they had to allocate and additional $72.5 million from the state’s IT Investment Fund (ITIF). The DTMB manages IT for 19 state agencies. The DTMB leaders would meet to discuss and evaluate individual projects but lacked an overarching framework to justify their decisions. This situation caused dissatisfaction within the agencies they supported, which questioned how the DTMB spent their money. With a steadily growing appropriation for investment in IT projects and no transparent way to justify their decisions to the agencies, the DTMB expected much more backlash when they rejected funding requests. Additionally, the DTMB was called out by an external auditor for not adequately aligning IT investment with the State’s strategic priorities. This deficiency created urgency to improve. The Governor required the ITIF to support IT modernization, and not general IT. However, the DTMB was unsure if they were spending the money according to the ITIF mission. The DTMB never took a step back to ensure they understood the real strategic priorities and could evaluate projects through that lens. With an urgent need to improve transparency and alignment, and acknowledgment that solving this problem required specialized expertise, the DTMB turned to Allovance for help. The Allovance team utilized its proven Allovance Method and technology platform to help the DTMB create a transparent, aligned decision-making process for allocating IT investments. 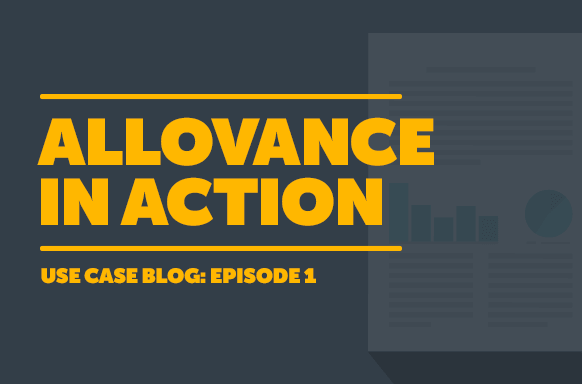 The Allovance Method creates transparent, objective decision-making processes by taking into consideration each project’s cost, strategic value, complexity and urgency. The downloadable case study describes step-by-step how the Allovance Method and Software and Decision Coaches enabled the DTMB to accomplish this very challenging task and arrive at a successful outcome. If you require a transparent, strategically aligned approach for allocating public sector investments, then please contact us today to learn how we can help you.